Are you ready to set your timer for 15 minutes again? 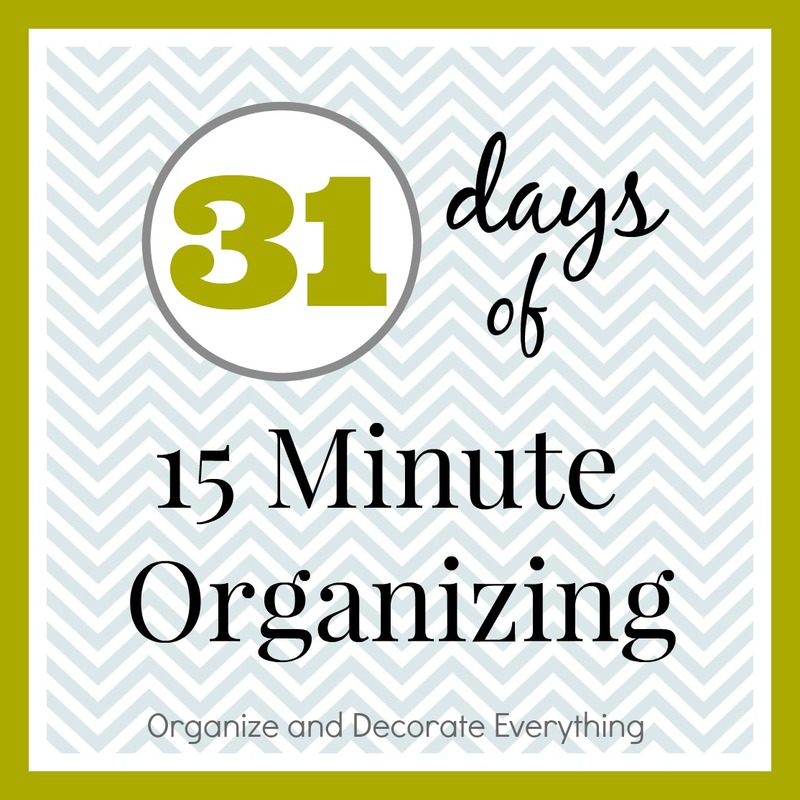 I think you can get the laundry supplies organized in way under 15 minutes. Race the clock and we’ll see how well you do. I love beautiful storage and blue canning jars are beautiful to me. 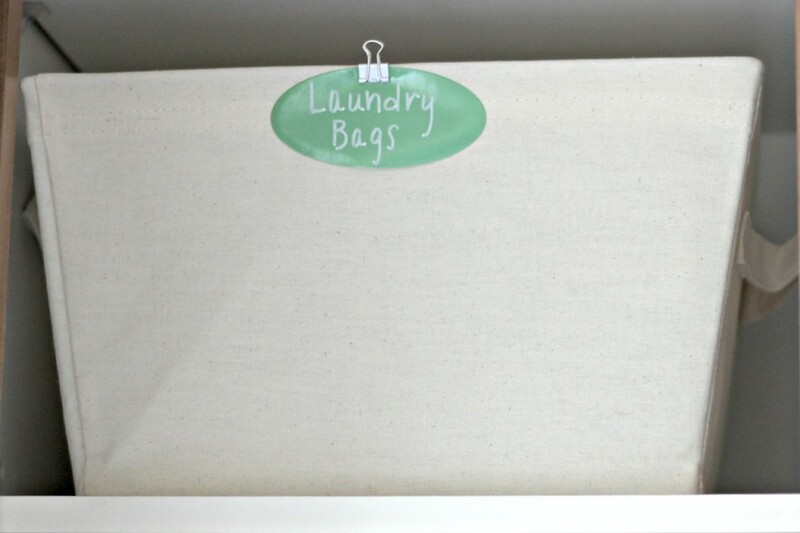 Dryer sheets, dry soap, and clothespins are kept in jars and in a basket on top of the dryer. 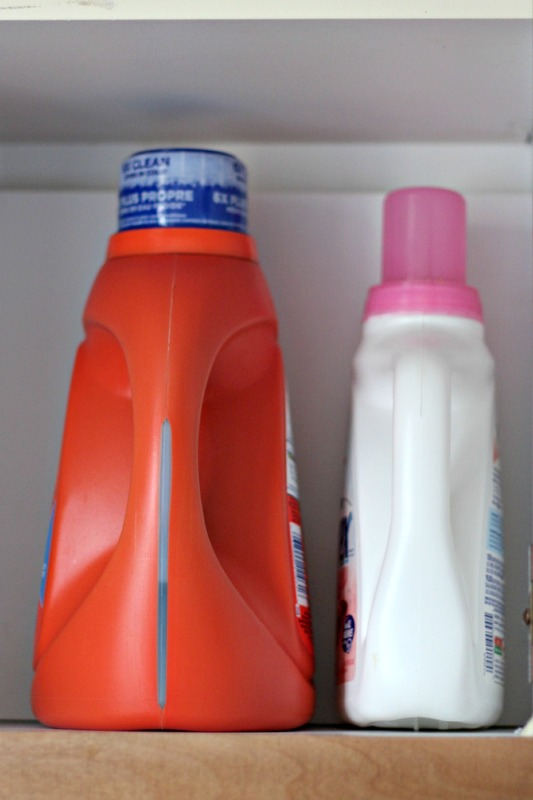 Supplies that aren’t so beautiful are kept in the cabinet to the side of the dryer. 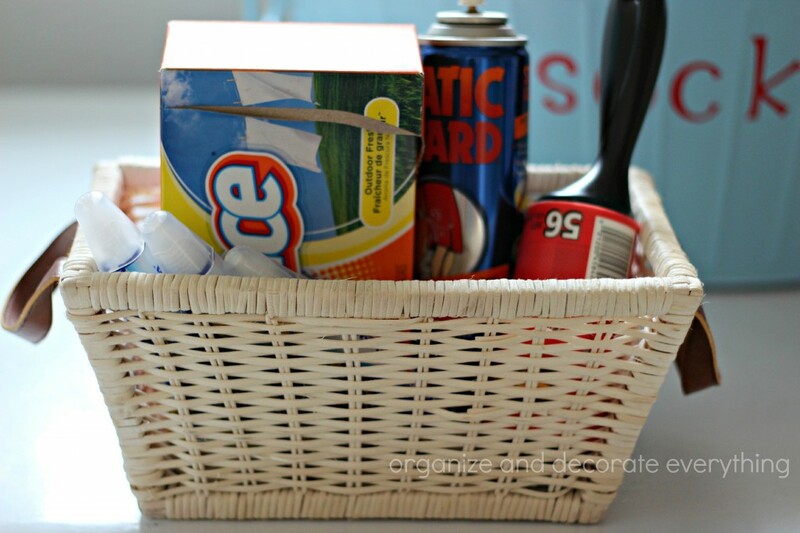 Find a little basket to keep smaller supplies together. I also keep special laundry bags in a tote to use when washing clothes. 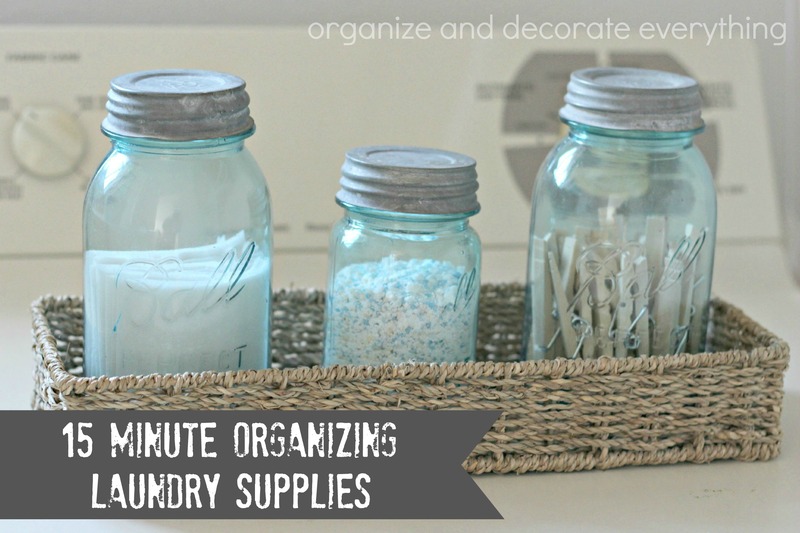 It’s pretty easy to keep the laundry supplies organized since you use them in a specific place. Find a couple baskets to keep everything together and you should be set. Click on the link to see more of my Laundry Room. I LOVE your blue mason jars!! !